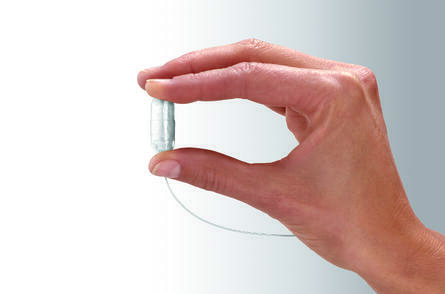 The OBALON™ & ORBERA™ intragastric balloons are FDA approved. Gastric balloons are not covered by health insurance. Afffordable financing is available through Prosper Health care Lending. 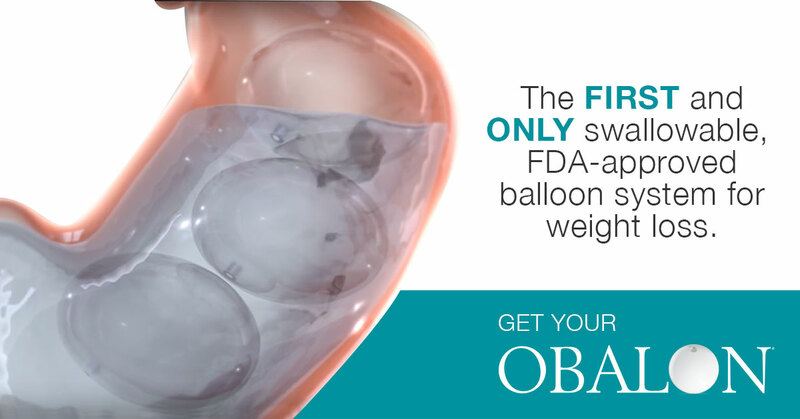 Obalon is the FIRST and ONLY swallowable, FDA-approved stomach balloon system for weight loss. The Obalon Balloon System helps facilitate weight loss by taking up space in your stomach so you eat less. Three balloons are placed for a six-month non-surgical treatment, combined with a professionally supervised nutrition and exercise program for optimal weight loss. 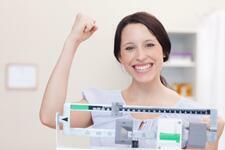 Patients in the clinical study lost twice as much weight as with diet and exercise alone. Stomach balloons can be an alternative to bariatric surgery. The Obalon Balloon System helps facilitate weight loss by taking up space in your stomach so you eat less. During treatment you should receive professional nutrition and exercise support to help you make the lifestyle changes that promote weight loss. The Obalon Balloon System supports you to help change your eating habits and keep the weight off. The placement of each Obalon balloon typically takes less than 10 minutes and does not require anesthesia or sedation. In your physician’s office, you swallow a capsule containing a small balloon, and then your physician inflates the balloon with a special mix of air. Endoscopy procedures are not used for the placement of the Obalon balloon. One balloon is placed initially, another in 2 weeks from the time of initial placement, and the third and last balloon is swallowed at 4 weeks from the second balloon. The gradual introduction of these smaller balloons (compared to single balloon systems) allows for better accomodation of the these space occupying devices and minimizes the abdominal distress experienced with single larger, fluid filled balloon systems. After 6 months, all three balloons are removed in one upper endocopic procedure with light sedation. The removal procedure is typically no longer than 15 minutes. The Obalon Balloon System can assist with your weight loss efforts, but your weight loss success is also dependent on your readiness to develop new lifestyle skills. The degree of weight loss will depend on your ability to modify your lifestyle and maintain this behavior after the balloons are removed. The majority of patients lose 6-7% of the total body weight or approximately 25% of there excess body weight. It is important that you discuss your willingness to accept this commitment with your physician before undergoing the Obalon Balloon System treatment. *Actual Obalon Patients. Weight loss results may vary. 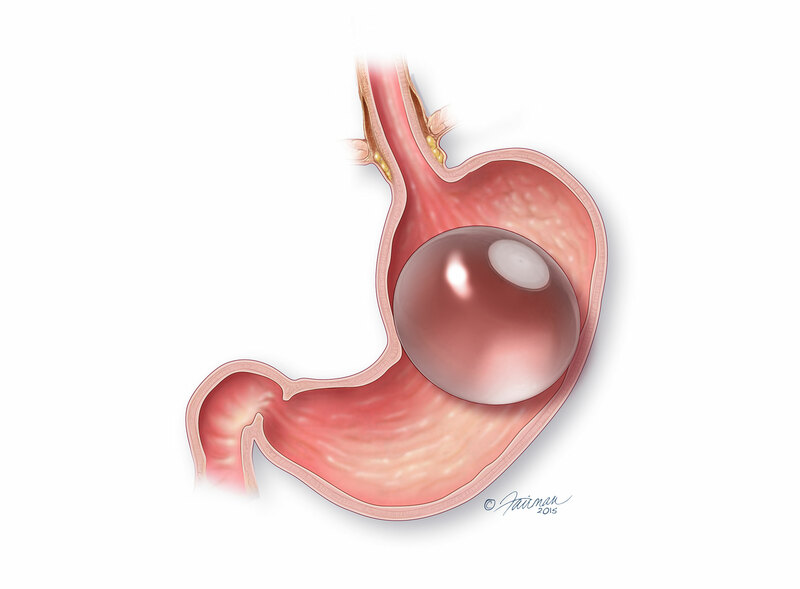 The Orbera intragastric balloon is a nonsurgical procedure effective in temporarily reducing hunger by controlling food intake and is completely reversible. A single, soft, expandable, silicone balloon is placed inside the stomach through the mouth using a video upper endoscope. Once inserted into the stomach, the empty balloon is filled with sterile saline water that results in the inflated balloon occupying a large part of the stomach. The balloon creates a feeling of fullness causing one to feel full much earlier during meals. Placement of the intragastric balloon takes approximately 30 minutes and is performed by a team of qualified gastroenterologists who are experienced in flexible endoscopy. The balloon is inserted and removed in the outpatient, same-day setting and does not involve surgery. It is truly a minimally invasive procedure. The intragastric balloon procedure is completely reversible and effective in temporarily reducing hunger by controlling food intake. In combination with behavioral change and structured nutritional guidance, a 19% to 50% loss of excess weight can be achieved. The intragastric balloon remains in the stomach for a six-month period at which time it is removed, in the same manner as it was placed. The ORBERA™ intragastric balloon is a widely used balloon in the world with a long clinical track record demonstrating safety and efficacy. The ORBERA™ intragastric balloon is approved for use in Canada, Mexico, Australia, India, several European and South American countries. It is now also FDA approved in the United States. The success of the intragastric balloon is contingent on an extensive nutritional and behavioral program that is conducted during the 6 months in which balloon is in place and continued for an additional 6 months after removal of the balloon. Dr. Starpoli and the American Obesity Center provide a revolutionary platform employing smart mobile technology to enhance ease of access to counseling and improved compliance. With this approach we provide an excellent opportunity for a positive result. Do you qualify for Orbera gastric balloon therapy? Intragastric balloon procedures are generally not covered by insurance. Click here: to learn about alternative financing methods available through Prosper Health.